Oh, and another HUGE HUGE thank you to the random lady in the souvenir line today who gave me $1 when I realized I was one dollar short of having enough cash on hand to buy C the Buddy stuffed animal that I already told her she could buy before checking to see how much cash I actually had in my wallet. Seriously. That was almost a serious Mommy Fail and a seriously disappointed 3 yr old. Thank you. From one mom to another, thank you. If I knew who you were or ever saw you again, I’d pay you back tenfold. 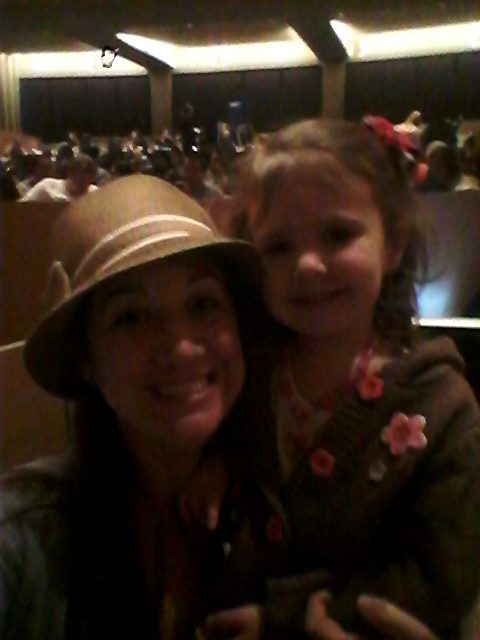 Overall, C and I had a wonderful time on our “Mommy Daughter Day” today. Pictures to prove. 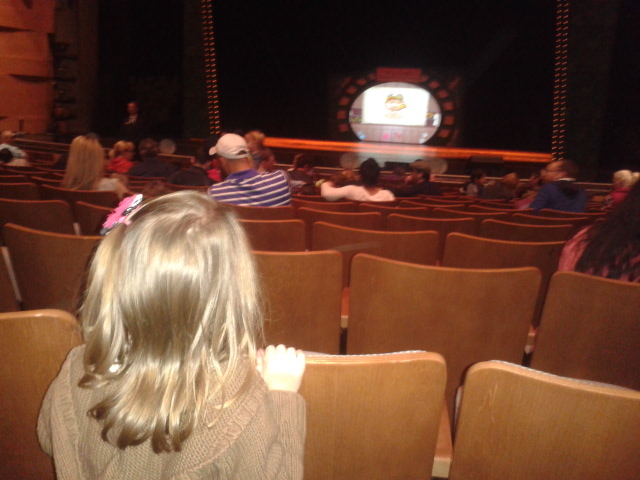 Thanks Dinosaur Train Live marketing people for the great seats! 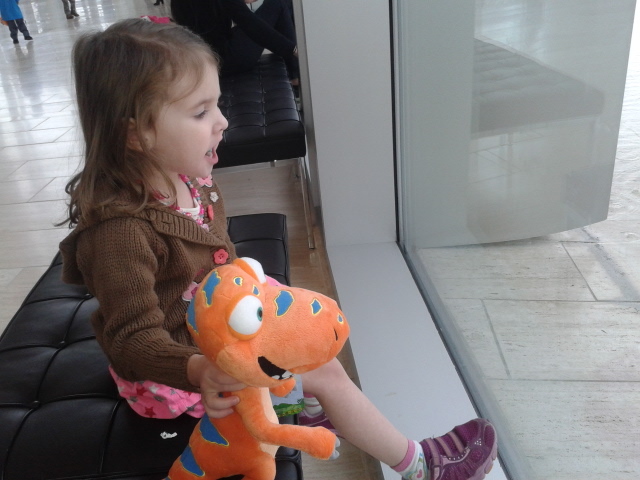 Thank you kind lady that allowed me to buy C’s newest best buddy, Buddy.